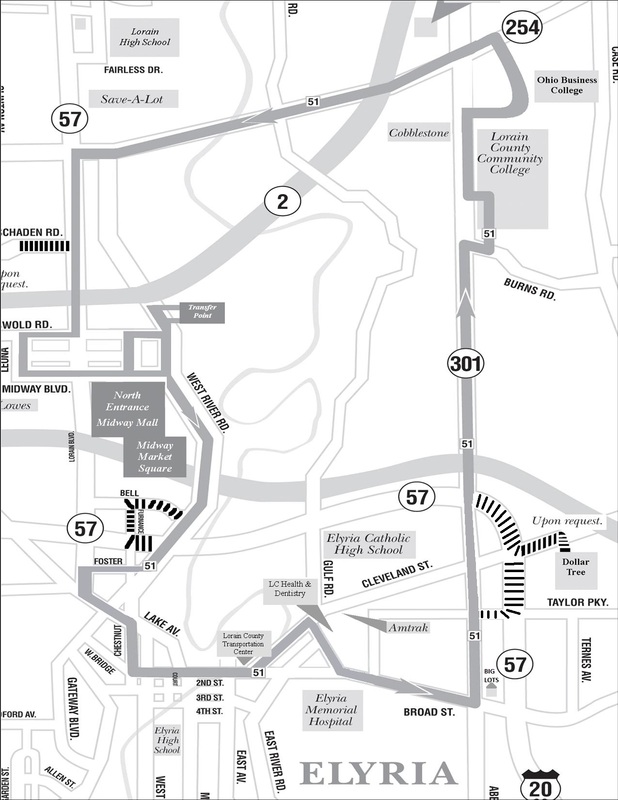 For quick details about this route, please see the Route 51 Bus Schedule (PDF), which you may download or print. If you are interested in advertising on this bus route, please see our LCT Advertising Page. All times indicate Monday thru Friday service. Scheduled times are subject to traffic and weather conditions. W. River & David Dr.
W. River & SE Mall Blvd. E. River St. & Buckeye St.